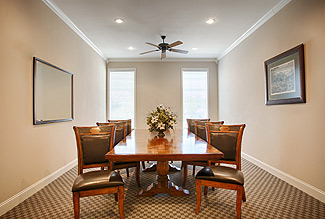 Your stay at the SureStay Hotel Leesville includes much more than just a place to sleep. Enjoy our range of onsite amenities and services designed to make your stay as convenient and enjoyable as possible. 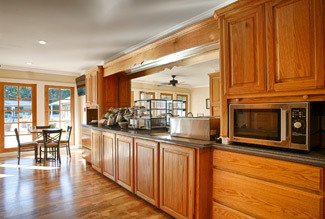 Start your day off with our delicious complimentary continental breakfast. 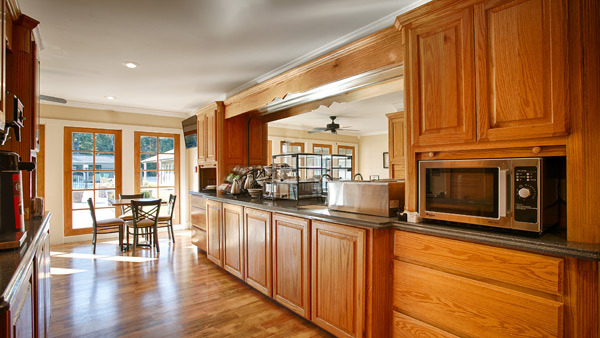 Enjoy a generous spread of fruits, along with yogurt, biscuits and gravy, eggs, a selection of pastries,a cereal bar, 100% Arabica coffee and cold juices. 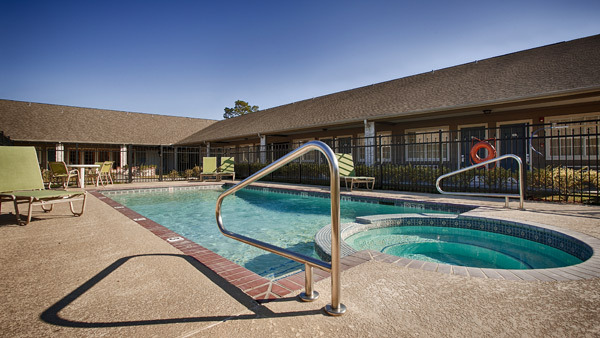 Swim, splash and soak up the sun in our spacious outdoor pool or relax on the pool deck while the kids have fun. For soothing relaxation, hop in the hot tub and soak away stress. 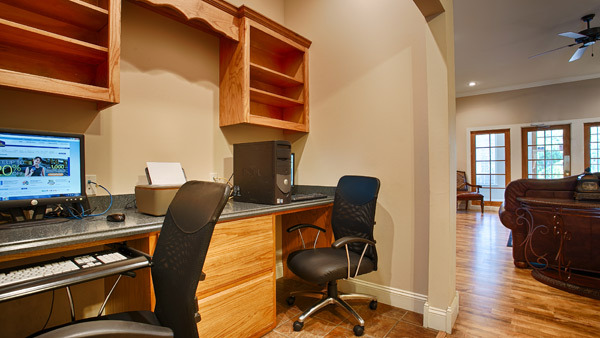 A reliable Wi-Fi connection is a necessity these days, and we are pleased to offer every guest free access to our high-speed Wi-Fi connection. Log on from anywhere in the hotel to book flights, download movies or Skype with friends. Visiting Leesville with business colleagues? Meeting an important client? 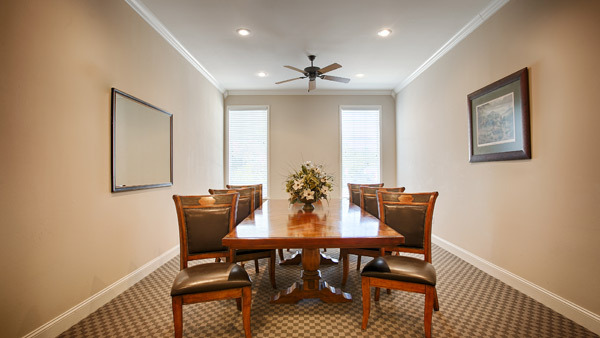 You are welcome to book our 8 person boardroom for small conferences, business meetings, or coaches meetings. 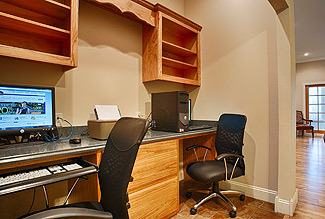 Catch up on work, send emails or print boarding passes at our 24-hour business center equipped with guest-use computer and printer. SureStay, Stay With People Who Care®. Each SureStay® branded hotel is independently owned and operated. 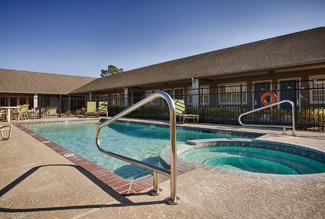 © SureStay Hotel Leesville, Leesville, LA. All rights reserved.